3 Bedroom Detached House For Sale in Boston for Asking Price £205,000. 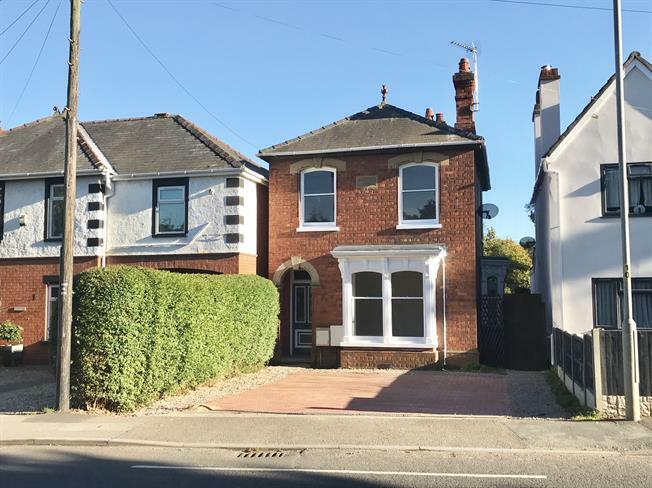 Having been renovated to a high standard including the tasteful restoration of all fireplaces, this three bedroom detached property is now the perfect family home. Having two reception rooms as well as a large sun room, a beautiful breakfast kitchen and shower room complete the ground floor. The first floor offers three double bedrooms, a family bathroom and an en-suite shower room to the master. Externally there is off road parking for two vehicles and a large, fully enclosed rear garden. Viewing is essential to appreciate the internal standard!! Single glazed window to front. Restored feature fireplace with inset open fire, radiator, ceiling light point, power points and engineered wood laminate flooring. Single glazed window to side. Restored feature fireplace with inset open fire, radiator, ceiling light point, power points and engineered wood laminate flooring. Single glazed windows to rear. Comprising three piece suite of low level WC, double enclosure shower cubicle with wall-mounted thermostatic shower and pedestal sink. Radiator, ceiling light point, laminate flooring and extractor fan. Double glazed windows to rear and side. Ceiling light point, power points, tiled flooring and French doors to rear leading to garden. Single glazed window to side. Comprising three piece suite of low level WC, double enclosure shower cubicle with wall-mounted thermostatic shower and wall-mounted sink. Ceiling light point, tiled flooring and extractor fan. Single glazed windows to front. Restored feature fireplace with inset open fire, radiator, ceiling light point, power points and engineered wood laminate flooring. Single glazed windows to rear and side. Restored feature fireplace with inset open fire, radiator, ceiling light point, power points and engineered wood laminate flooring. Single glazed window to side. Comprising three piece suite of low level WC, panel bath with mixer tap and thermostatic shower over and vanity unit with inset sink. Ceiling light point, tiled flooring and extractor fan. To the front of the property there is a block paved driveway providing off road parking for two vehicles. A side gate leads to the rear of the property where the garden is separated into two sections. The first part is directly behind the property and is fully enclosed with a raised decking area suitable for seating. A gap in the hedge leads to the second part of the garden which is much bigger and fully enclosed by timber fencing to the rear and side as well as incorporating a variety of mature trees and bushes.